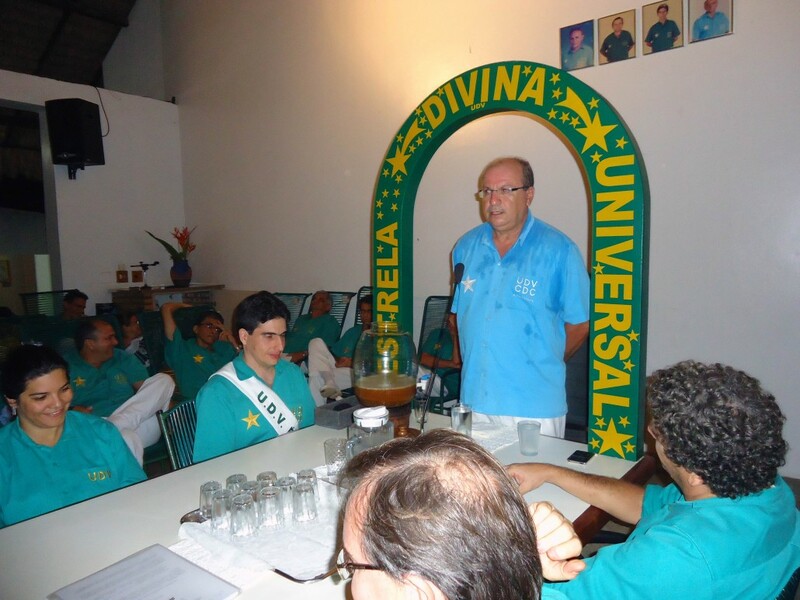 Antunes (in blue) was one of the most active members of the 11th Region and leaves a legacy of love and giving to the União do Vegetal | DMC/Núcleo Tucunacá. Doing good from the heart, helping all those who sought him, is how the path of Mestre Carlos Luiz Marcelo Antunes, Mestre Antunes, can be summarized within the União do Vegetal. The same good heart, that helped so many people to recover their health for so many years with joy and readiness, stopped suddenly this Monday, February 12th. Mestre Antunes passed away in Guaramiranga (CE), at the age of 59, while he was vacationing in the city with family and friends. His passing is a heartfelt loss for the UDV as a whole, as he had friends in various parts of Brazil, and principally for the 11th Region, where he was one of its most active members. He had received the shirt of the Assistant Central Mestre of the 11th Region a few days prior, in the Annual Escala Session on February 10th. Graduated from the Federal University of Ceará (UFC), Mestre Antunes was a gynecologist and obstetrician for more than 30 years; he was also a homeopath and worked with orthomolecular therapy. For many years, he was a prominent member of the UFC Assis Chateaubriand Maternity School, helping in the training of obstetricians. Among other qualities, he was of the personal physicians of Mestre Braga, Mestre Monteiro and other Mestres of Origin from the UDV, who often came and still come to Fortaleza for health treatment. There have indeed been countless people whom he has helped to regain their health and wellbeing over the years, regardless of social class of hierarchical degree within the Center. 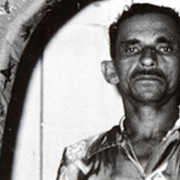 Born in Cascavel (CE), Mestre Antunes arrived to the União do Vegetal on November 9th, 1991, in Núcleo Tucunacá (Fortaleza-CE). He identified almost immediately with the doctrine of Mestre Gabriel, so much so that he associated on January 6th, 1992, initially engaging himself with the Plantio Team. Always very participative and attentive with the irmandade, it didn’t take him long to arrive to the hierarchical degrees, being convoked to the Instructive Body in 1992, to the Body of Counsel in 1995 and to the Cadre of Mestres in 2001. 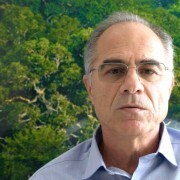 During his walk in the União do Vegetal, he occupied the places of Treasurer, Vice-President, President and Representative Mestre (2009-2012) – all at Núcleo Tucunacá. For a period he was also an associate of Núcleo Cajueiro Pequenino, where in 2007 he participated in its foundation, and was their first President and Assistant Mestre. Between 2012 and 2015, Mestre Antunes was Responsible for the Spiritual Orientation at Núcleo Tucunacá. In the triennium of 2015-2018, he was the Regional Coordinator for the Medical and Scientific Department of the 11th Region, the monitor for the Department of Plantation and Enviornment of Núcleo Tucunacá and also, in the year 2017, carried out the role of Vice-President. Married to Counselor Elisabeth Sampaio de Oliveira Antunes, who always supported him and accompanied him on his walk in the UDV, Mestre Antunes leaves behind two daughters (Emanuelle and Daniele), both associates of the Center, and an immense number of friends who had in him much more than a doctor, a great friend. We wish conformation to the family and friends of Mestre Antunes in this moment, and may Mestre Gabriel receive him in eternity with his Light. *Giuliano Villa Nova is a member of the Cadre of Mestres of Núcleo Tucunacá and Vice-Director of Internal Communications of the Department of Memory and Communication (DMC).